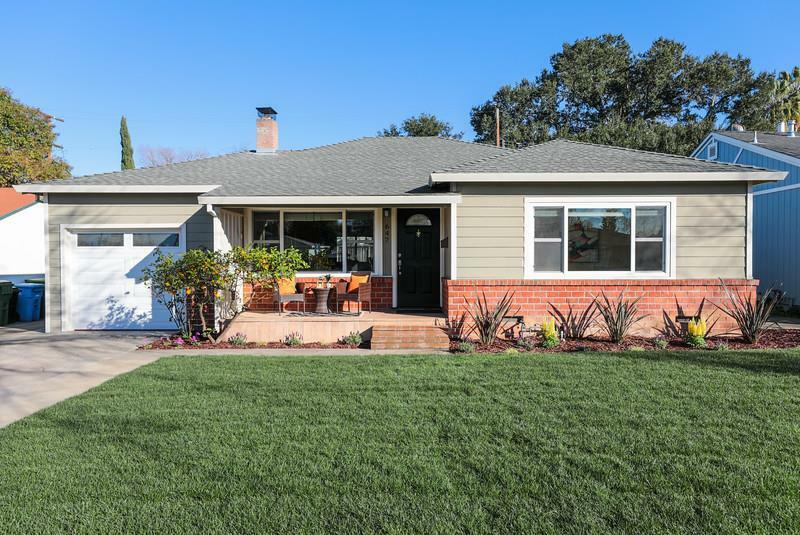 Located in the heart of Silicon Valley on a picturesque tree-lined street, this beautifully updated 4bed/2bath home offers single-level of bright & open floorplan with approx. 1678 sq.ft. of contemporary living space. Adding to the appeal are newly refinished hardwood floors, new carpeting, updated kitchen with crisp white cabinetry and contrasting black granite countertops with tiled backsplashes, premium stainless steel appliances including 4-burner gas range. Greenhouse window overlooks expansive backyard that has been newly landscaped with brand new lawn equipped with new auto sprinkler and drip systems. Private, spacious master suite has a tray ceiling, walk-in closet, and French door to the backyard. Other features include central A/C and recently cleaned air ducts, water softener, newer water heater, attached garage. Wonderfully centralized location close to shopping & dining, Santa Row, easy access to SJ Int'l Airport, Santa Clara University and major commuter routes.